"Requires the Lumia Amber software update or later. 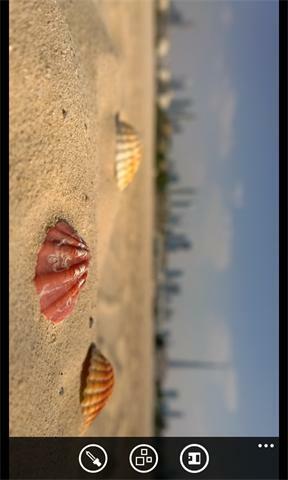 Lumia Refocus lets you take a photo first and choose what you want in focus later. It’s perfect when you're shooting close-ups of your subject because it allows you to show depth in your photos, and then change the focal point if you want. You can also add great effects like 'All in Focus' and 'Color Pop'. When you’re done, share your interactive Refocus photos via social media like Facebook, Twitter etc, as well as email and messaging – all you need is a OneDrive account. The application first uploads your photos to OneDrive and then creates a link that you can share with friends so they can play around and change the focus themselves. You can share Refocus photos over Wi-Fi or a cellular data connection, so be sure to check your network operator’s data charges first. To get the latest software updates for your phone, go to Settings > phone update. You can also find out more online at nokia.com/lumia-update. New in this version: - Updated branding Exclusively for Lumia"